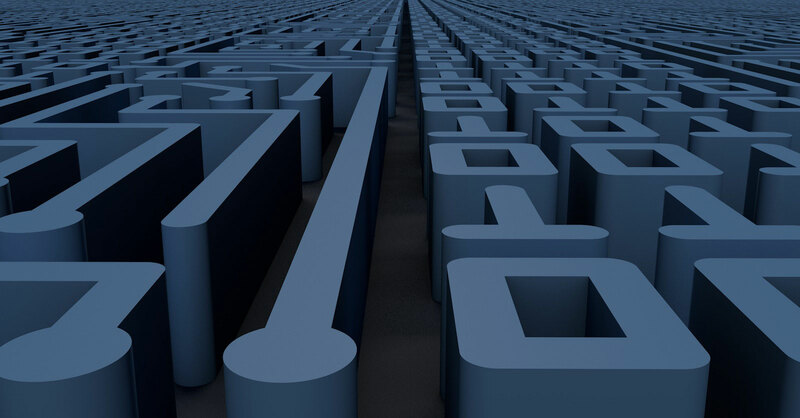 The Hellenic Emerging Technologies Industry Association successfully participated in a series of Networking events, held on 11 & 12 December 2018 at Madrid. 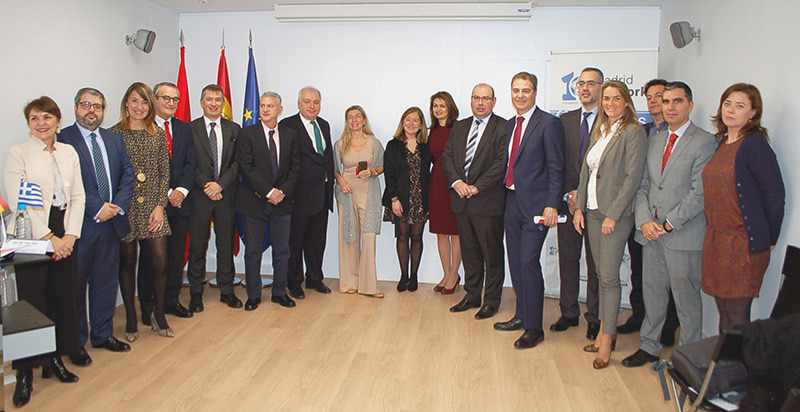 The events were organized by the Office of Economic and Commercial Affairs of the Greek Embassy in Madrid, in collaboration with the Spanish-Greek Chamber of Commerce, the Spanish organization Madrid Europe Network and the Greek organization Εnterprise Greece. 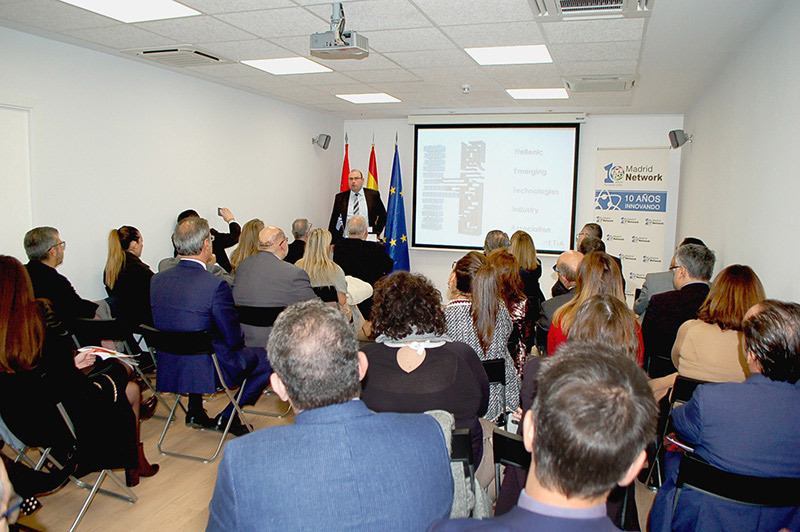 During the workshop, several meetings were held with local stakeholders such as the Spanish Association of IT Companies, Communications and Electronic AMETIC and the Spanish Institute for Research and Technology of the Ministry of Economy, Industry and Competitiveness of the country, FECYT, with very positive and encouraging results for the development of meaningful future collaborations. 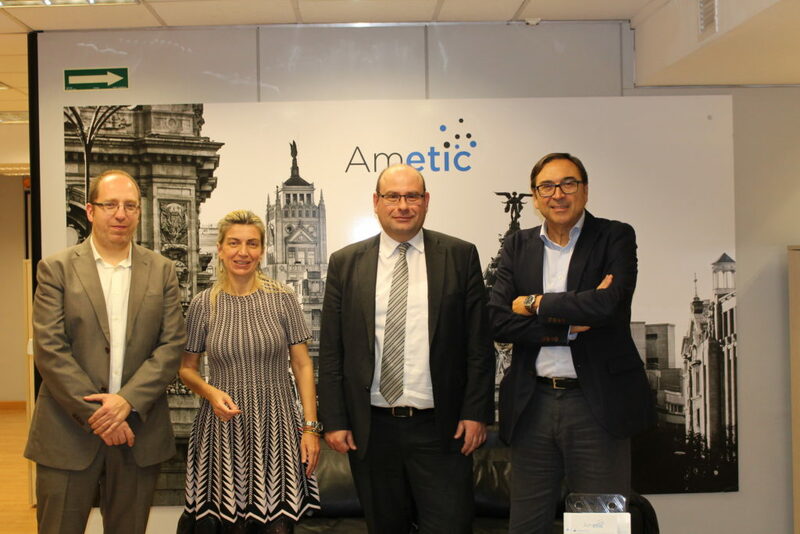 On Wednesday the 12th of December the targeted workshop “Investment Opportunities in Greece” took place in Madrid Network facilities. During the workshop HETiA presented its activities and met Madrid Network representatives and other local stakeholders. The workshop has highlighted the existing investment opportunities in our country in key sectors such as Emerging Technologies as well as the dynamics that the Greek economy is developing in the current period. The Ambassador of Greece in Spain Mr. Christodoulos Lazaris and Mrs. Alia Papanastasiou from the Office of Economic and Commercial Affairs of Madrid, participated in the event, indicating their support to HETiA’s effort.